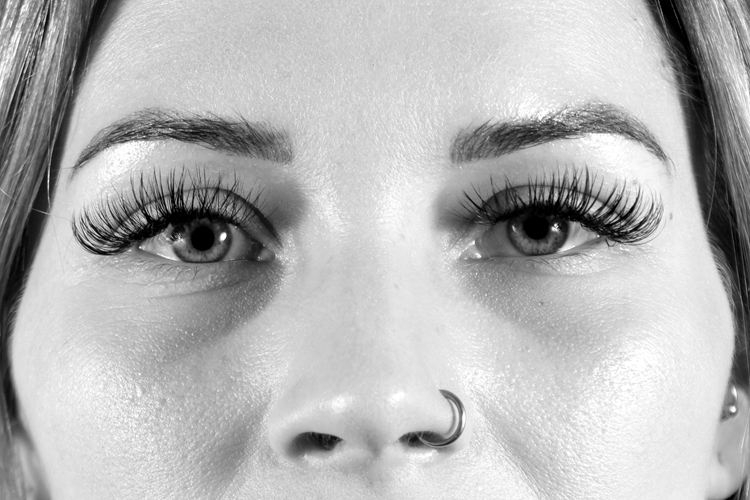 Go bold or natural with gorgeous, silk eye lash extensions. We Use NovaLash & Premier for Volume Lash Extensions. Oil-Proof & Instantly Waterproof, High-Quality, Silk Eyelash Extensions. 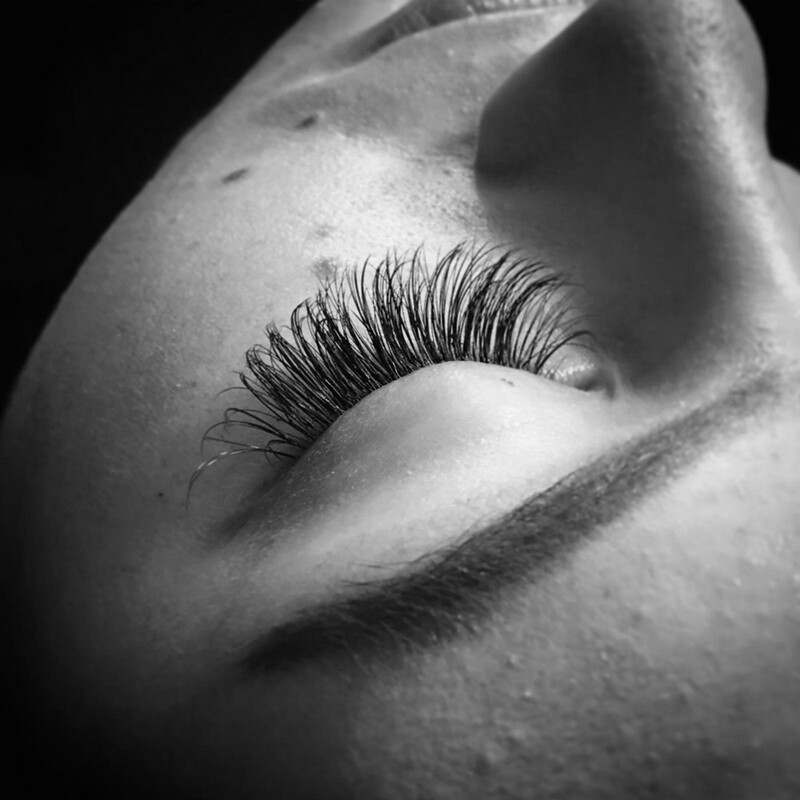 Classic eyelash extensions are also available. A full, new set of lash extensions for the first time. Fills after 3 weeks will be charged for a full set. Fills are done every 1-3 weeks according to client preference. Prices are for 1-, 2- or 3-week fills. 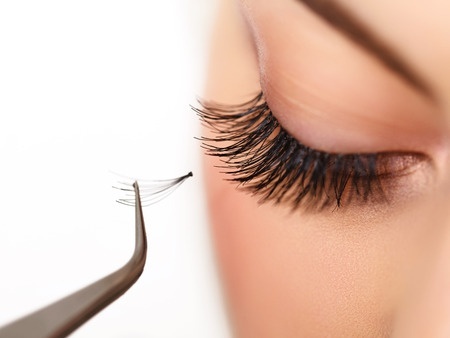 Tinting and lifting lasts until your natural lashes shed. Typically in approximately 4 week cycles. “Grace has such a wonderful business. She’s been doing my lashes for some time now. I’ve been to other places, but no one compares. I’ve never had one complaint. She always gives me exactly what I request. Her business is so relaxing and professional I don’t see my self going anywhere else. 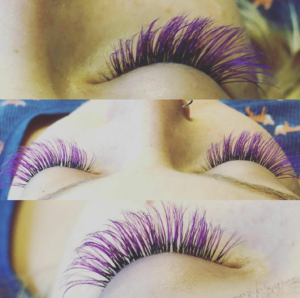 I make sure to send everyone I know wanting lashes to her.” – Marissa B.
Eyelash extensions are individual extensions made of synthetic silk or other materials. They look like natural eyelashes in every way! They are thicker at the base and thinner at the tip with a slight curl, and come in various lengths and curl styles to create the right look for you. Solid black is the most popular color, but they are available in browns, soft blacks and even bright, colorful hues. 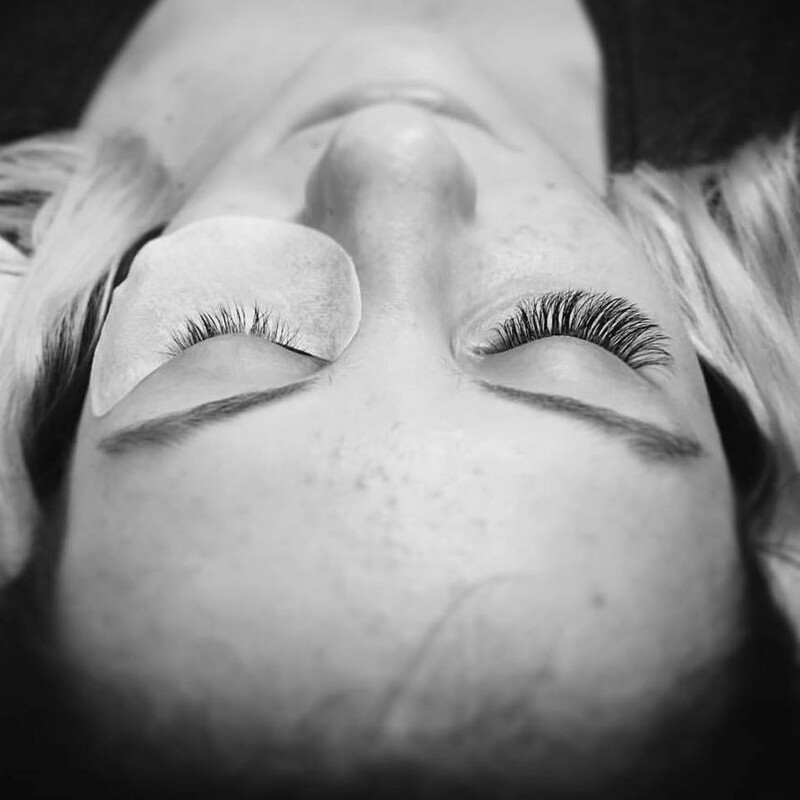 Each extension is adhered to your natural lashes using a medical-grade adhesive, which gives the appearance of a darker, more voluptuous lash-line. 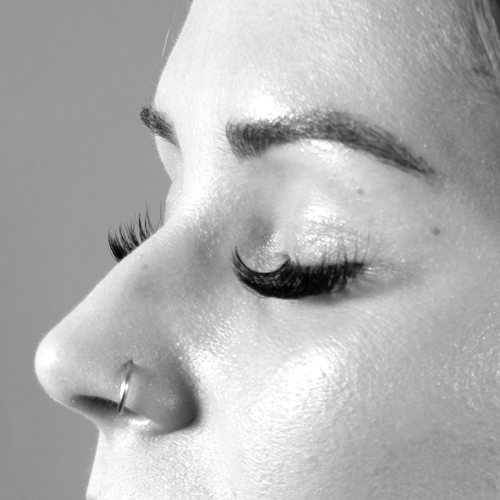 Classic Lash Extensions are the process of using one lash extension for each natural eyelash. The result is an enhanced lash line with a natural and realistic appearance. 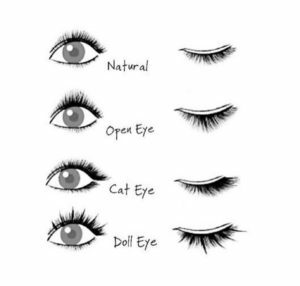 We recommend Classic Lashes to those who want their lashes to look beautiful, yet more natural than volume lashes. 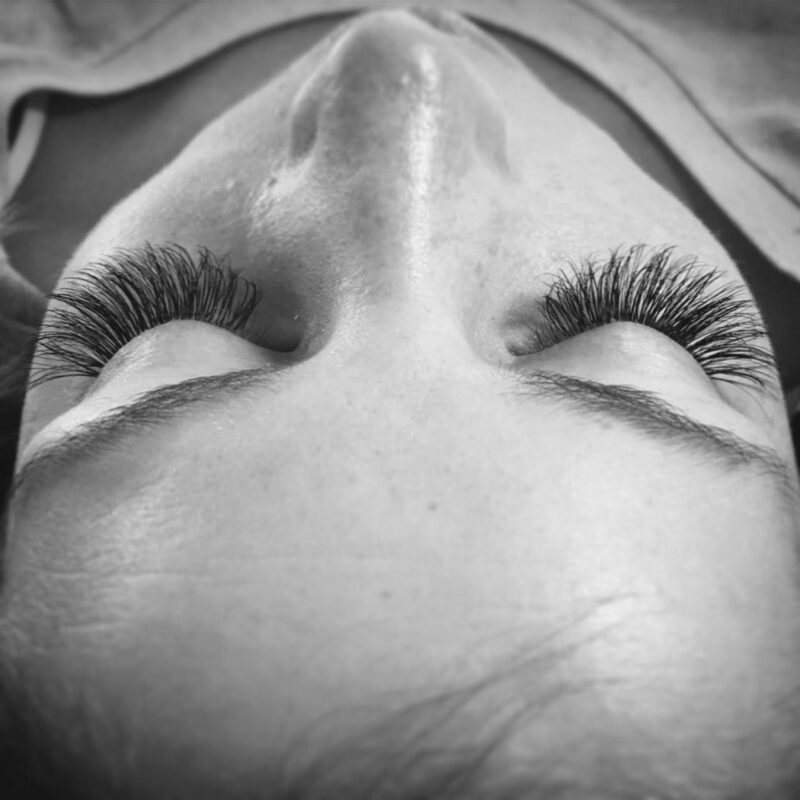 Volume Lash Extensions are a premium application using 2 or more, light extensions for each individual natural eyelash. 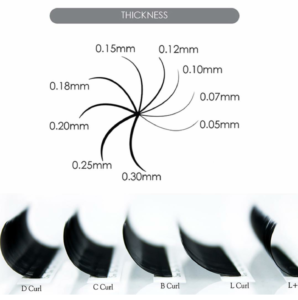 Volume lashes offer incredible fullness and last longer than classic lashes. The glue is set with a lovely lavender spritz and a quick dry with a small fan. It is common for lashes to last weeks! 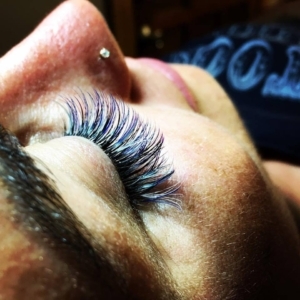 A full set of new lash extensions usually takes about 2 hours. 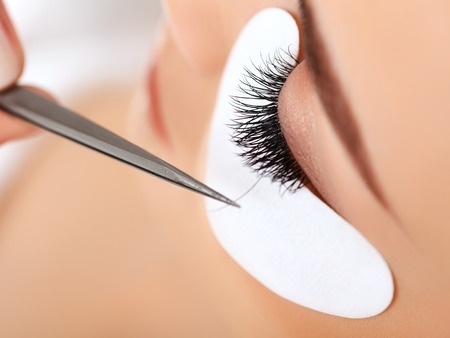 A fill takes 30-90 minutes depending on how many new lashes must be applied. 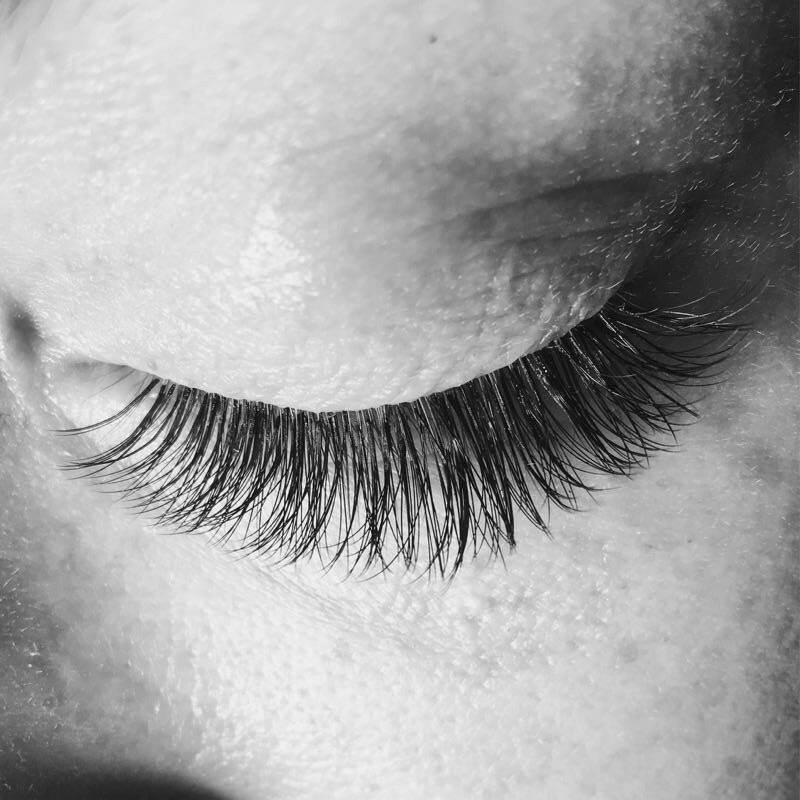 Can you wear make-up with lash extensions? A lot of makeup is not recommended with lash extensions. Stick to simple, good products to make your lases last longer. You can wear mascara with them, although this shouldn’t be a daily thing. Choose mascara that is NOT waterproof, and is as basic as you can get. No volumizing, lengthening, curling factors please. 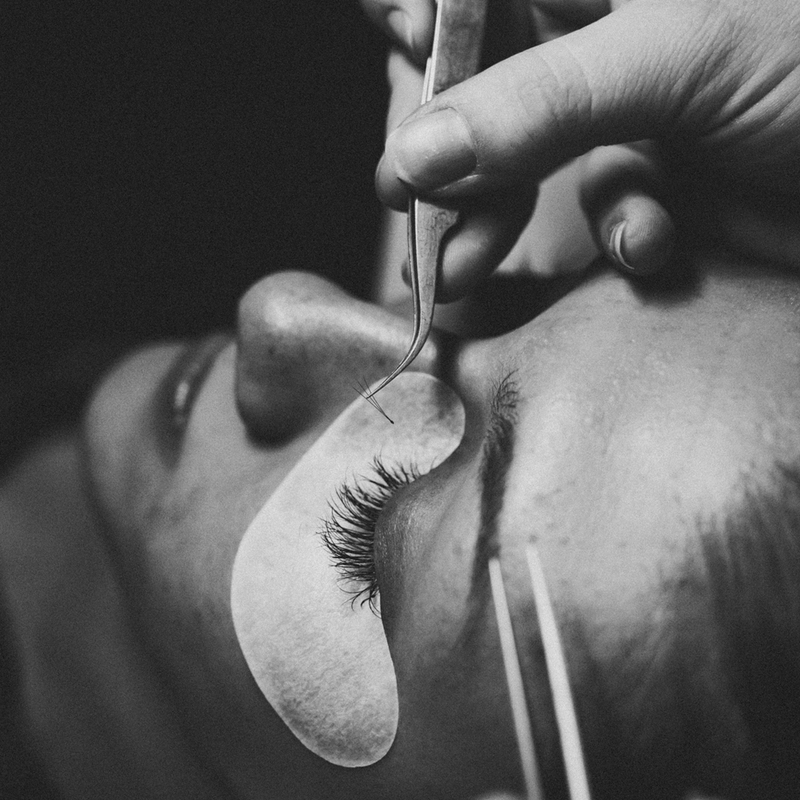 How to care for lash extensions. No glycol!! Avoid all products with glycol. That includes soaps, make up removers, eye creams and any product with any form of glycol in it. Which, unfortunately, includes almost every soap. We recommend using a tear-free baby soap to remove your makeup. Keep them on the straight and narrow! After you wash your face, and as you’re putting on makeup is a great time to give them a brush out. Start by closing your eyes and brushing them down, rotating the brush backwards while you stroke down. 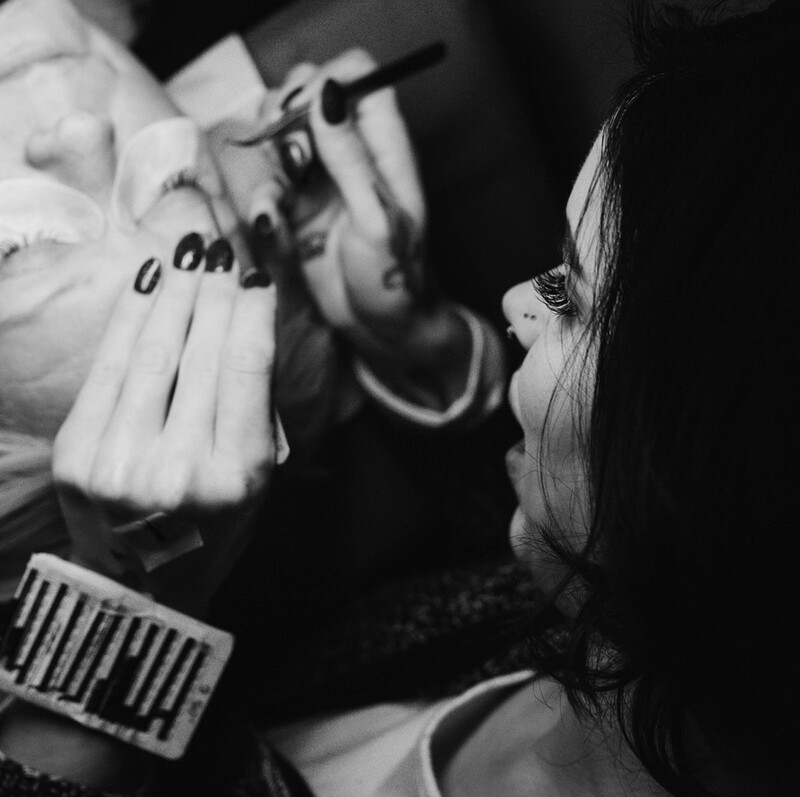 Then, open your eye, and brush the up (like you would put on mascara).